Before application servers had virtual hosts, you would have had to had a physical server for each app that you wanted to produce. Virtual hosts allow you to run multiple apps from a single physical server. 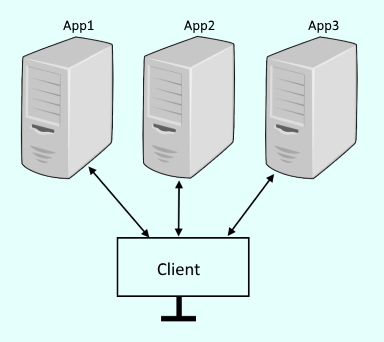 A WebSphere application server contains 3 default virtual hosts. When manually deploying an app to WebSphere, if the application does not have the virtual host defined in the ibm-web-bnd.xml file, there will be a prompt to select the virtual host. Typically, default_host is selected. You can place the ibm-web-bnd.xml file in the WEB-INF folder of your WAR to define the virtual host. If you do this, you will not be prompted to define the virtual host when manually deploying an app to WebSphere. Instead, the virtual host defined in ibm-web-bnd.xml will be used. This can also be done via the wsadmin command. But, it usually makes more sense to just use the ibm-web-bnd.xml file. dmgr_home/Dmgr/bin/wsadmin.sh -user your_username -password your_password -c "print AdminApp.edit('your_ear', '[-MapWebModToVH [[your_war Beta.war,WEB-INF/web.xml default_host]]]')"
In the left panel of the WebSphere admin console, expand Enviroment. Select a virtual host. Applications typically use default_host. At this page, the name of the virtual host can be changed. Selecting Host Aliases will list the hostname and ports that are listening. 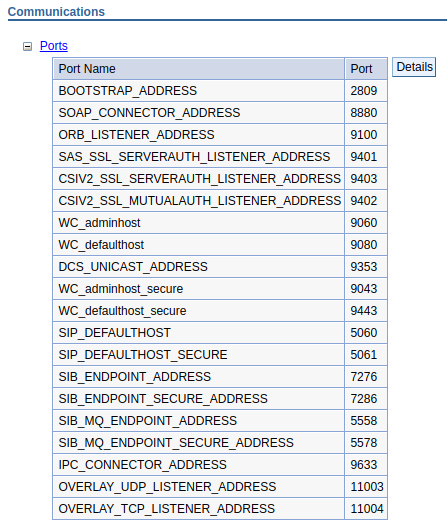 In the example below, we can see some of the ports that default_host is listening on. Notice in this example that ports 9080 and 9081 are listed. Typically, this suggests that 9080 is being used by one JVM, and port 9081 is being used by another JVM. The JVMs can be running on the same machine (vertical cluster) or on different machines (horizontal cluster). The ports can then be correlated to a certain type of listener. In this example, WC_defaulthost of JVM "a" has port 9080. The WC_defaulthost of JVM "b" would have port 9081. Applications running on the JVM using default_host will be able to be called using the WC_defaulthost port, which is 9080 or 9081 in this example. In a horizontal cluster, the JVMs will likely have different hostnames, so you would pull up the app with something like www.hostname1:9080/context/root and www.hostname2:9081/context/root. 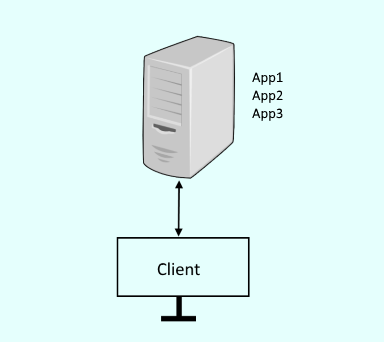 Changing the virtual host to listen on a different port would allow you to produce the application on a different port. Enter the new port value and select OK. In this example, the WC_defaulthost value is updated to be 12345. You would be able to produce the app on port 12345 after the JVM is restarted. This type of change is not limited to just the WC_defaulthost. This change can be done on other ports being used for other listeners.